Hi there! Just a fun post today. I’m participating in the Pretty Pink Posh Sequin Shaker Blog Hop! It’s been a while since I have created a shaker card, so it was fun to make one again. I used Lil’ Inker products pretty much throughout this whole card. The stitched stars as well as the sentiment. 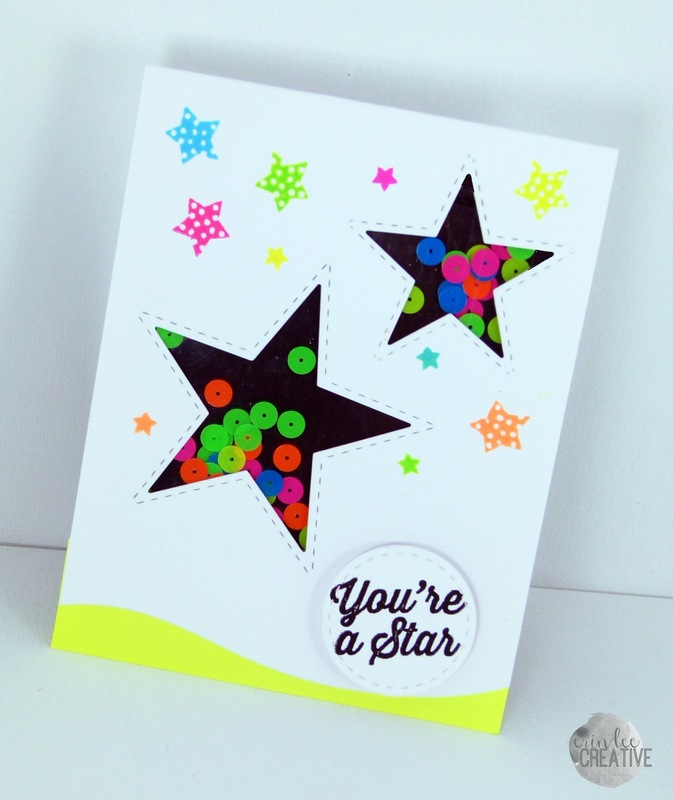 I also used neon sequins with a black background to really make them pop. Fun, fun, fun!